Two EVMs will be used in the Darjeeling constituency, one with Trinamul candidate Amar Singh Rai and the other with Nota at the top, sparking fears in the party that this may confuse voters and lead to a mix-up. The Number One slot seems to be bothering chief minister Mamta Banerjee and the Gorkha Janmukti Morcha’s Binay Tamang group, which is backing Rai. There are 16 candidates in the fray and each EVM has 16 slots. This means the none-of-the-above (Nota) option will occupy the Number One slot in the second EVM. “Please remember, there are 17 candidates here. The number one position in number two machine is for Nota. Don’t press number one in the number two machine. 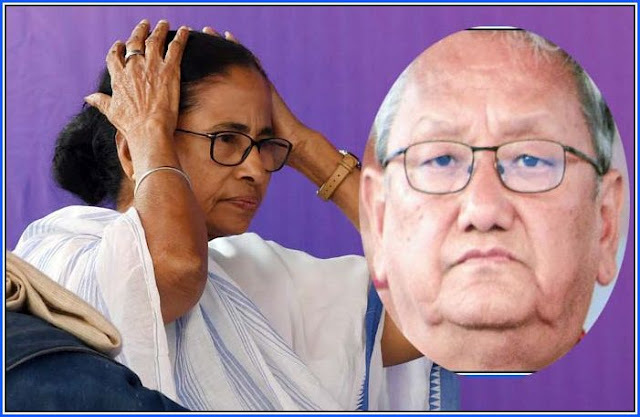 Look at the symbol, the candidate’s picture and press number one in the number one machine,” Mamata has said at rallies in Kurseong and Darjeeling over the past two days. “No dho (two) numbari, only ek (one) numbari , Darjeeling is always Number One,” the Trinamul chief added in a lighter vein. Tamang echoed the appeal. “Our supporters have to be extremely cautious. Number one in number one machine,” the Morcha leader said. Mamata and Tamang were articulating their parties’ fears that many voters wanting to vote Rai might end up pressing the Nota button.